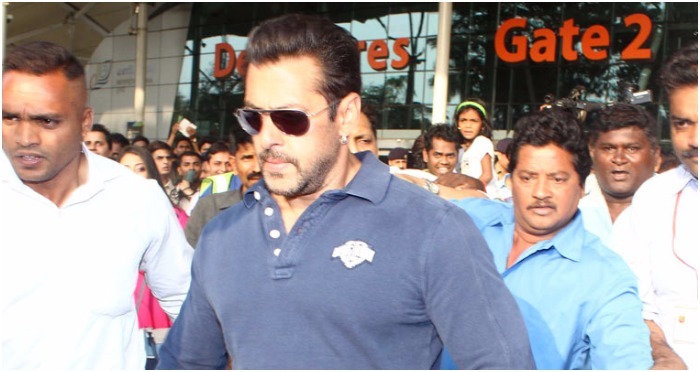 It seems there is no end for troubles in the life of Bollywood actor Salman Khan. Salman and his court visits have always grabbed the attention. Last year, the actor was in the news for the hit and run case and this year, he is entangled in the blackbuck poaching case. While the actor is busy shooting for his upcoming film Tubelight, there comes worrying news for him. Salman Khan’s blackbuck poaching case has taken a shocking turn as the Rajasthan government has now moved to Supreme Court to appeal against the decision given by the court. “The government is studying the merits and demerits of the case and has decided to appeal against the decision of the Supreme Court,” the state’s Law Minister, Rajendra Rathore, told reporters. During the shooting of his film, Hum Saath Saath Hain in Rajasthan, in 1998, Salman Khan was accused of hunting and killing the endangered deer. His co-stars, Saif Ali Khan, Tabu, Sonali Bendre and Neelam, were also charged with inciting the actor to hunt. On the professional front, Salman Khan is shooting for Kabir Khan’s next, Tubelight, which also stars Sohail Khan and Chinese actress Zhu Zhu. The actor is also juggling for the shooting of reality show, Bigg Boss 10. Previous : Shahid Kapoor Does Not Feel Like Working And Guess Who Is The Reason!